To understand the mechanisms of action of your proteins or drugs, it is important to understand the behavior of overall worm population as well as phenotypes that reveal the underlying cellular and molecular forces in action. 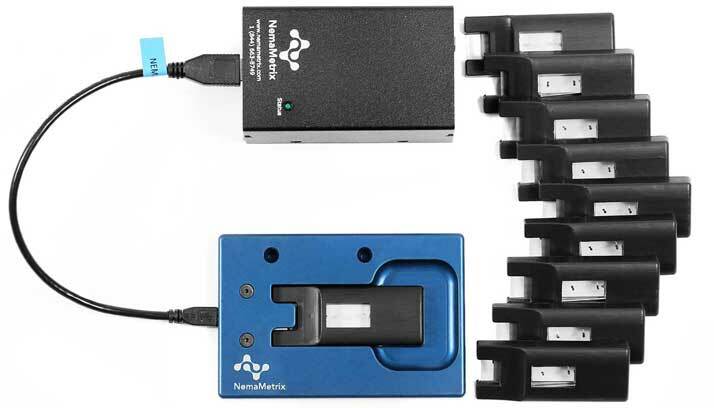 The ScreenChip™ System, along with the WMicrotracker System allow you to get in-depth understanding of your worm behavior. 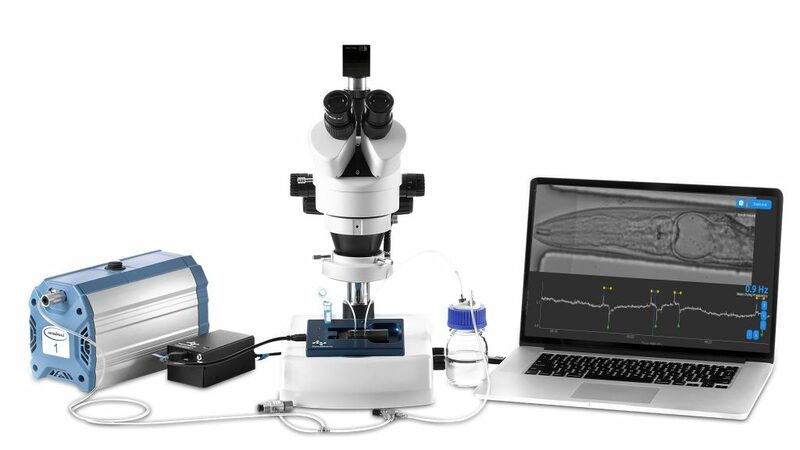 The ScreenChip™ System, a C. elegans visual screening and phenotyping platform that allows you to associate visual phenotypes with feeding behavior. Figure 1. 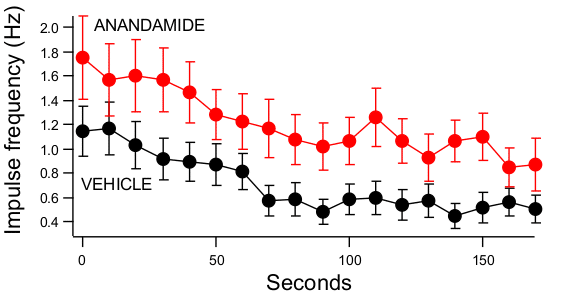 The cannabinoid Anandamide induces hyperphagia in adult worms (red dots). Mean pump frequency versus time in 10 sec. bins (Anandamide, N = 27; Control, N = 41). : Data are shown as mean ± SEM. ANOVA, Treatment, F(1,66) = 7.26, p = 0.009. Figure 2. Comparison of adult C. elegans worms within the ScreenChip system. Day 1 and Day 13 worms were recorded in a 40 um and 60 um channels respectively. Recording pharyngeal activity uncovered a drastic change in feeding activity, not only in frequency but also in feeding pattern and quality. Record videos that are perfectly synchronized to the EPG traces, all with a single software. Observe and playback all the molecular and cellular events in the pharynx to better understand what is happening to your worms. All you need is a microscope (inverted or dissection), a vacuum source and a computer that meets the minimum requirements for running the ScreenChip Software. Fluorescence: The ScreenChips are 100% optically clear and compatible with all light wavelengths (excitation and acquisition). We haven't tested other brands and models, however microscopes with similar specifications should work well with the ScreenChip system.